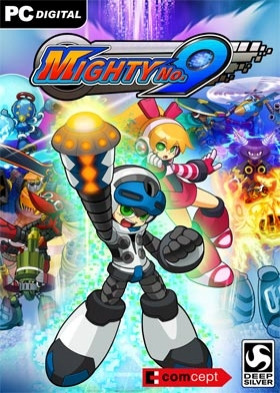 NOTICE: Requires the base game Mighty No.9 in order to play. Activation key must be used on a valid Steam account, requires internet connection. ABOUT THE GAME	A mysterious robot named RAY has appeared and our hero Beck has been tasked with infiltrating an abandoned lab to search for her. Discover the origins of RAY and join her in her quest for answers.KEY FEATURES Take on the all-new Ver… milion Destroyer stage Face off against RAY in an epic boss battle Experience an exclusive story from RAY's perspective as you play through single player levels as RAY with all new abilities Featuring a unique spin on the core gameplay - battle against constant health degeneration by pushing forward and quickly abosorbing enemies Unravel the mysteries of the Vermillion Destroyer and RAY's originsSYSTEM REQUIREMENTS Minimum: OS: Windows 7 64-bit or newer Processor: Intel Core 2 Quad @ 2.8 GHz or AMD Phenom X4 Memory: 4GB RAM Graphics: Radeon HD 7770 or Nvidia GeForce GTX 550 Ti HDD: 2GB free space	Recommended: OS: Windows 7 64-bit or newer Processor:Intel Core i5 @ 3.3 GHz or AMD Phenom II X6 Memory: 8GB RAM Graphics: Radeon HD 7950 or Nvidia GeForce GTX 660 Ti HDD: 2GB free space	© and published 2016 by Deep Silver, a division of Koch Media GmbH, Austria. Deep Silver and its respective logos are trademarks of Koch Media GmbH. Co-published by Comcept Inc. Mighty No. 9, Comcept and their respective logos are trademarks of Comcept Inc. Developed by Inti Creates Co., Ltd. © 2016.